Are Your Documents Ready for an Audit? Go Green and Save Green! Top 9 Reasons to Go Paperless! Improving your company’s environmental impact is a good thing. After all, “greening” your operations promotes good will among customers, employees, constituents and shareholders. It also can have a positive impact to your efficiency and bottom line. By “greening” your operations, you are minimizing the waste that comes from human resources or natural resources (energy, paper, etc.). It is a simple equation: produce less waste = cost cutting = saving $$$. In doing so, it enhances the sustainability of your operations. Learn more by completing the form below to download this white paper. Developed by WhiteOwl (www.gowhiteowl.com), PaperSave is a complete document management, electronic workflow and transaction automation solution. 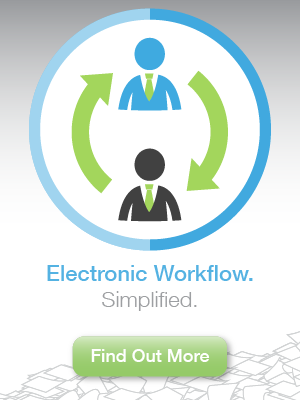 PaperSave's unique integration provides one click access to documents within Intacct, Microsoft Dynamics AX, GP, SL, CRM, Blackbaud's Raiser's Edge ®, Financial EdgeTM and Educational EdgeTM.